So many times, you’ll see offensive players try to cut you to keep you from getting to the football. 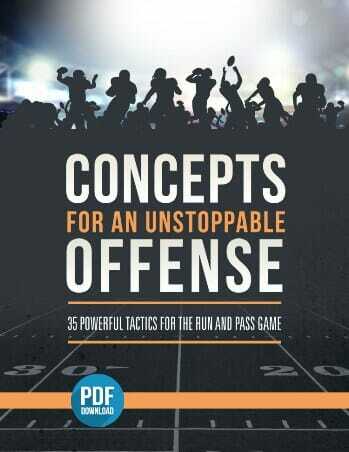 We need to give our players some focal points that will help them defeat that block. You need to teach your players how to take on a block, how to get off a block, and then initiate a good tackle. Once we get to the point where out players know how to make a good tackle out in the open field, the next thing we need to add to the mix is Block Protection. 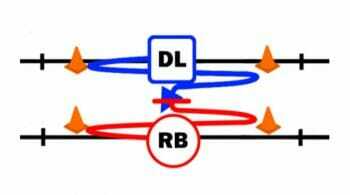 In this video blog post, we are going to talk about an excellent block protection drill called the “Ball Cut Tackle Drill”. In the Ball Cut Tackle Drill, it is very important for your players to understand that they have to put their eyes on the ball. Using 3 medicine balls and 3 managers, and the managers are going to throw the ball at the defenders legs and the defender is going to focus on protecting the legs. 1. Put your eyes on the medicine ball, which is acting as the blocker in this drill. 2. Give some ground. It’s okay to give yourself some ground when you are protecting a block. You still want to take the block on, whether it’s a ball being thrown at your knees, or it’s a lineman coming at you. You need to protect yourself but you can give a little ground to escape to the football. 3. Protect your outside arm and leg. If a blocker is trying to get to you, he is focused on getting across your body and cut your outside leg and get your outside arm out of the mix. 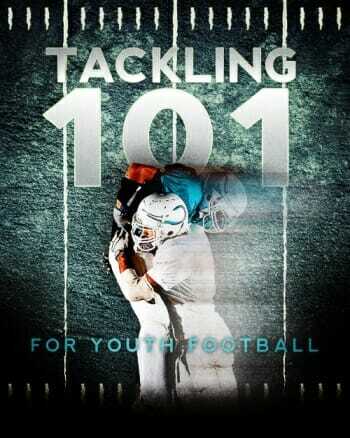 Remember, they are being taught the same thing as you when it comes to tackling! 4. Always finish with a good tackle. 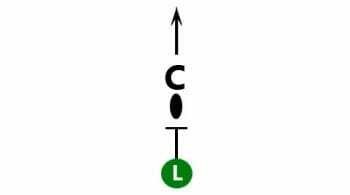 – The Defensive Back will align at a point 15 – 20 yards away from the ball carrier. 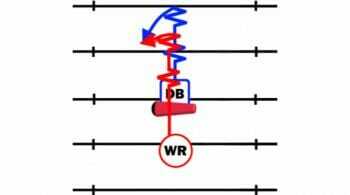 – The ball carrier waits for the Defensive Back to go through 3 phases. As the Defensive Back comes through each of the managers, the manager will throw the medicine ball at his legs as hard as he can. So your Defensive Back is getting 3 opportunities to protect the leg. 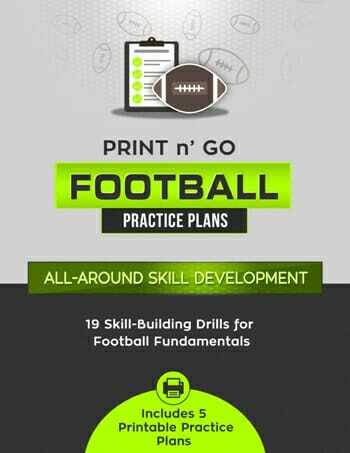 – Once the Defensive Back clears all 3 managers, the ball carrier will take off and the Defensive Back will come across the ball carriers face and initiate a good, strong side tackle. 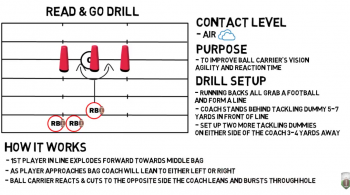 For more great tackle drill tips and much more, be sure to Become a Fan on Facebook! You can also Follow Me on Twitter and Hangout with Us on Google+!